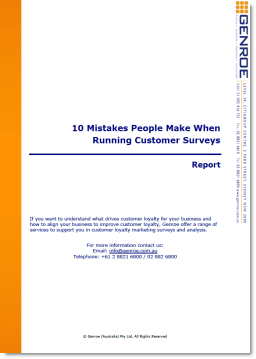 The on-line customer advisory panel is a relatively new feature in the market research business. Often, these panels are created by market research companies dedicated to provide ready access to a large number of respondents for a market research survey. In that way, they can be quite valuable to organisations wanting a quick way to get feedback on a new idea. These types of panels can be very useful for two reasons. They have large sample sizes, i.e. the entire online community group, not just small focus groups, online surveys and face to face interviews. You can receive feedback quickly on product and on-line design, from customers and prospects; often within hours or a day or two. However, they can also be quite limiting because they do not develop a relationship with the company for which the research is done. The individuals on the panel have a relationship with the market research company that “owns” the panel. Recently we created and ran a dedicated on-line customer advisory panel for a leading insurance company that wanted to launch a new direct (on-line) brand into the market place. This panel was different to the panels noted above in that the insurance company concerned built and ran the panel from scratch. This allowed the company to build a relationship with the panel participants and allowed a range of secondary areas of value to be created. Initially the role of the panel was to gather market research style insights and segmentation information. In this way it was similar to the market research company owned panels above. The similarity stops there however. As the research process evolved, we were able to link internal company information with portal member profile type. Then judicious use of questions, blog posts, quick polls and surveys enabled the client to extend their understanding of each segment’s needs and key drivers. That’s not all however. The role of the on-line portal evolved over time from a source of on-line segmentation insights to a forum for the co-creation of products and value propositions to a powerful advocate based launch platform for the business. Each phase layered additional depth and value into the client’s relationship with the portal users. This evolution of value elements does not happen immediately but over time the value of the panel far outweighs the initial market research function. The final outcome of this process is, in the right circumstances, for customer lead support to occur. This is where customers help each other regarding questions and approaches to using your product. This customer lead support has been occurring in the technology/software space for many years but this approach brings it within the realms of more mainstream products. Just curious Adam, did the design of the panel include digital ethnographic techniques? We observed the ebb and flow of the discussions and responses to the blog posts to guide us in where to take the conversation. We also used a number of data collection approaches (blog responses, quick polls, survey’s, member votes) and so we did informally use digital ethnographic techniques. However, it would be overstating the case to say that they were formally applied.